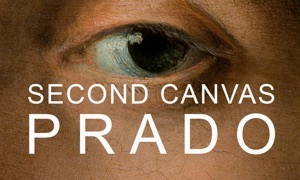 Second Canvas Mauritshuis is your tool for exploring the beautiful Mauritshuis museum masterpieces in super high resolution, like never before. Discover, interact, learn from stories told by Mauritshuis experts or choose your favorite detail and share it with your friends on social media, including the option of hooking it up to your TV screen at home or at school. 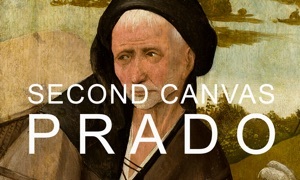 Created by Mauritshuis and Madpixel, Second Canvas Mauritshuis allows you to explore the 10 masterpieces from the museum’s collection, including the famous 'Girl with a Pearl Earring', and others like 'The Garden of Eden' and 'The Goldfinch', with the best quality and resolution. • Super-zoom to explore the artworks with the best quality and discover hidden details. Specially for the Girl with a Pearl Earring and The Garden of Eden, where you will be able to zoom-in beyond the naked eye, up to the brushstroke level, and see the crackle, thanks to their Gigapixel resolution. • Infrared vision for these two paintings, also in Gigapixel resolution, to reveal the drawing under the painting and discover the "pentimenti", even on the tiniest details. • Discover amazing stories on all Mauritshuis masterpieces, detail by detail, told by museum experts: learn about the characters, symbology, technique, or the artist signature. • New Gigapixel AudioTour feature: play a cinematic tour through the Gigapixel image to discover the artwork secrets while listening to the audio. • Tell your own stories on social media, selecting the details you want to share in super-high resolution. • Connect your iPad/iPhone to your TV at home (via AirPlay, cable) or to the projector at school to see the painting in full screen while interacting with your touch device. • Download the details with their stories so they can be accessed even when you’re offline or in airplane mode.